On July 16, 2011, The Blaze website reported that police in Midway, Georgia shut down a lemonade stand run by three girls trying to save up for a trip to a water park because they didn’t have a business license. About once a year, a news story will air about some poor kid’s lemonade stand closed for a lack of proper licensing. People express outrage at the petty actions of city officials, wonder what the world is coming to, and the news cycle moves on. This familiar story, however, has implications for anyone running or acquiring a business. There is a lesson to be learned here: While ensuring compliance with the myriad of business licensing and tax registration requirements is becoming increasingly complicated, the need to remain in compliance is more important than ever. There are over 74,000 governmental authorities in the U.S., each with its own rules, parameters, and requirements that can apply to a given business. Determining which authorities have jurisdiction over a particular business operating in a certain location and maintaining compliance with those requirements can be burdensome, to say the least. The South Carolina Chamber of Commerce estimates that it takes 47 hours for a typical new business to comply with licensing requirement just in its state. At the same time, cash strapped governments are stepping up their enforcement efforts as fees, penalties and fines can be an important source of revenue. Additionally, the Sarbanes Oxley Act has raised awareness regarding the importance of compliance among suppliers, banks and boards of directors. Business license compliance requirements are often written into important contracts and are a key part of due diligence in merger and acquisition transactions. For a company operating in many locations, licensing requirements can be very onerous. One nationwide retailer reports that it has to manage 180,000 business licenses and permits each year, and that number is likely to increase. The number of professions requiring licensure is increasing each year, often driven by the people in those professions hoping that regulation “will boost the prestige of the professions, provide oversight and protect consumers from shoddy work.”  A study done in 2008 found that the percentage of professions requiring licensure has risen from 5% in 1950 to 23% in 20082. In many cases when a firm engages in a business purpose requiring a licensed professional, the business must obtain its own license in addition to ensuring that the professionals it employs are properly licensed. The incentive for state and local governments to start licensing cat groomers, tree trimmers and shampoo artists, to name a few, is the revenue generated. License fees, penalties and fines usually more than cover the costs to administer the licensing process and are generally revenue generators for government. The problem is compounded by the concept of nexus. 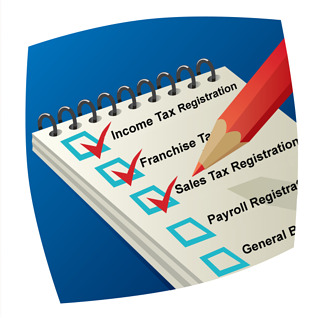 While nexus is most typically applied to determine whether tax registration and filings are required, it can be applied to licensing in some industries. The application of nexus means that, in some cases, even companies without a physical presence in a given location still must comply with licensing requirements when doing business there. Businesses whose employees perform on-site services, trucking companies, leasing companies and real estate management companies are some examples of industries subject to licensing requirements even when they are not located in a given jurisdiction. At the same time, the penalties for non-compliance can be severe. Businesses can be subject to hefty fines and can lose substantial business and revenue when their operations are shut down for lack of proper licensing. They can also face bad publicity and suffer increased insurance costs. Whether you are currently operating a business in multiple locations, or performing due diligence on a target company in an acquisition, ensuring that the company has all the required permits/licenses and is properly registered everywhere it is doing business is a critically important task. It is also a daunting one, as each state, county and municipality has its own rules regarding which activities need to be licensed, how and by what authority the activities are licensed and how often the licenses must be renewed. Ensuring that the company remains in compliance both by renewing all licenses in a timely fashion and guaranteeing that new company activities are licensed appropriately add to the difficulty. As the complexity and importance of business license compliance continues to grow, companies need to dedicate the appropriate staffing, resources and systems to effectively manage the process. Developing internal systems and expertise can be costly, but may be an effective approach for larger companies that can dedicate the needed resources. Smaller companies and law firms concerned with the due diligence aspects of business licensing may find that their needs are best met by working with a knowledgeable service company that can provide reliable, cost effective solutions. Gabby, Tiffany. “Georgia Cops Shut Down Girls’ Lemonade Stand for Lack of Business License” The Blaze.com, 16 July 2011, 13 November 2011, http://www.theblaze.com/stories/georgia-cops-shut-down-girls-lemonade-stand-for-lack-of-business-license/. Simon, Stephanie “A License to Shampoo; Jobs needing State Approval Rise” WSJ.com, 7 February 2011, 13 November 2011, http://online.wsj.com/article/SB10001424052748703445904576118030935929752.html.